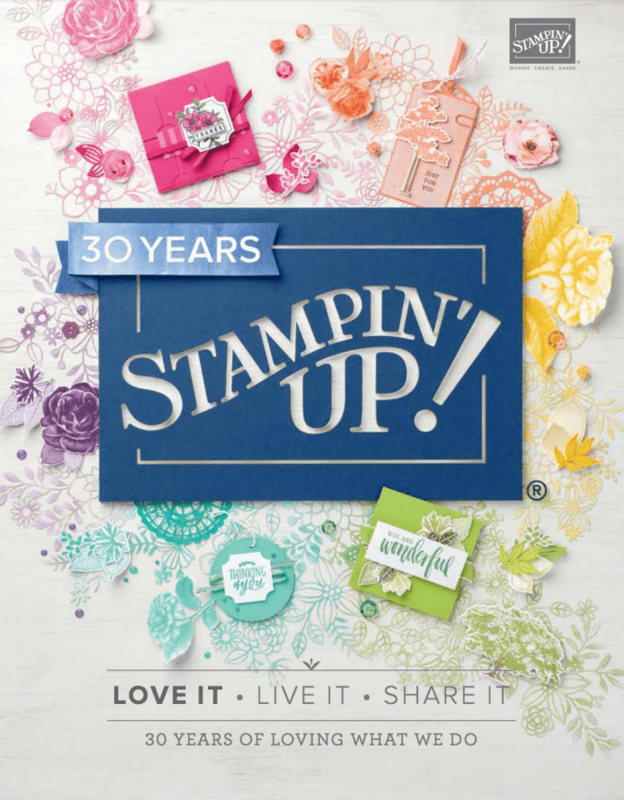 January 27, 2019 January 27, 2019 Sarah Gouin Keerie Stampin' Up! 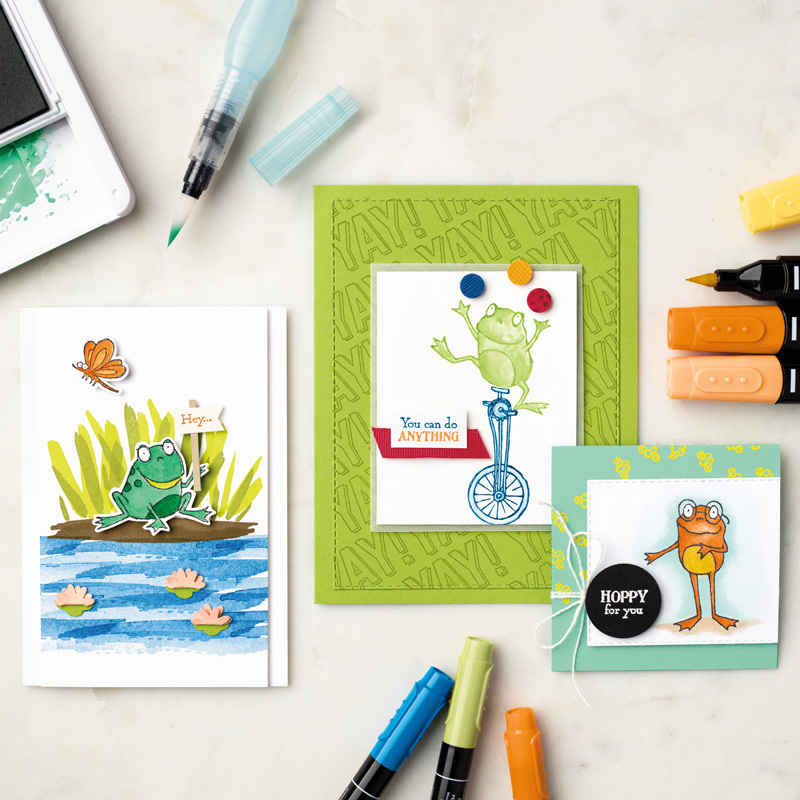 Today in the crafting cave, I’ve been making a batch of cards and it’s a hoppy day! 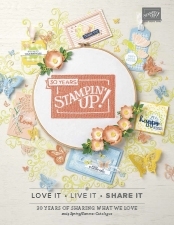 I love this set which is one of the free stamp sets that I chose from the Sale-a-bration freebies. You can have fun with this one. I’ve stamped on the card base to create my background and stamped some separate images which I have been happily colouring in. It is crafting therapy as I do like settling down with my colouring pens. I did toy with the idea of leaving the background frogs uncoloured, but I was enjoying colouring in so much that I coloured them as well. I used some paper from the tranquil textures paper pack for some background. Having trimmed down the frog fronts, I went around the edges with a marker (early espresso from the neutrals pack) I didn’t want to go overly ‘lumpy’ with the cards as here in the UK if they are too lumpy they cost more to post. If you have this set, have fun with it. If you need it, simply place an order of £45 in my online shop and you can choose it as a freebie.